For those who are looking to combine adventure and excitement, an ideal destination would be Banff National Park, a World Heritage Site. 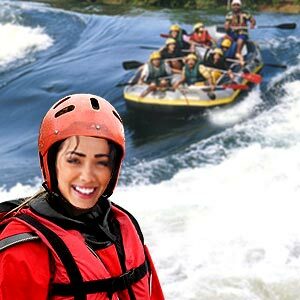 Unforgettable water rafting or sensational zip line adventure in the Canadian Rockies, the challenge would be in deciding what to leave out. Banff National Park was found when Canadian Pacific Railway construction workers stumbled across a cave of hot springs in 1883, on Alberta's Rocky Mountains, eastern slope. With humble beginnings of 26 square kilometer, Banff now spans almost 6641 square kilometers, with valleys, mountains, glaciers, forests, meadows and rivers. Banff is Canada's first and the world's destination National Park unparalleled in mountain scenery. Millions flock to Banff year on year to marvel at the emerald waters of the Lake Louise and the gateway to it all, the Town of Banff. If the snow capped peaks and the glistening glaciers form one part of this amazing park, on the other side enjoy Canada's excellent Whitewater rafting, golfing, hiking, bird watching, mountaineering and skiing. In 1883 when Canada's first transcontinental railroad was completed, three railroad workers stumbled upon a series of hot springs. This is now called Sulfur Mountain. In 1885 after an ownership dispute, the springs and the surrounding areas were declared as Canada's first national park which gave birth to the National Park system. The Canadian Pacific Railway recognizing the tourist potential of the Canadian Rockies, in 1888 opened an elegant Banff Springs Hotel under the direction of William Cornelius Van Home before constructing a series of grand hotels. Soon Banff became famous as an international museum and tourist stopover. The history and cultural heritage of this area is also captured in a number of museums, including the Whyte Museum of the Canadian Rockies, Banff Park Museum, Luxton Museum and the Cave and Basin National Historic Site. The boundaries of the park, as it appears today were drawn up in 1930 as part of the National Parks Act passed in the Canadian parliament. For over 130 years, Banff has provided unspoiled wilderness with mountain lakes like Louise combined with modern amenities. The mountain town of Banff offers a choice of accommodation. 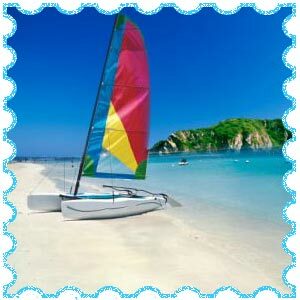 The tradition and history of this mountain town is well preserved and there are a number of museums and heritage sites. Yet the allure of Banff town is its proximity to the park's incredible attractions. Trails, gondolas, ski areas and exciting heritage and well-kept wilderness secrets coupled with incredulous dining activities make the Banff National Park an outdoor hospitality destination par excellence. Over 93 percent of the park has untouched wilderness. The most dominant feature of the park is the mountains, from which vistas branch everywhere. The ancient beauty of the Banff Park is no wonder then, part of the UNESCO's Canadian Rocky Mountain World Heritage site. Ancient monoliths some 45 to 120 million years old, and with the highest in the Park, Mount Forbes, at 11,850 feet boast their presence in this postcard perfect mountain Park. Banff, the highest town in Canada rests at an elevation of 4540 feet and the hamlet of Lake Louise the highest permanent settlement in Canada. Among the several historic sites are the Castleguard Caves, the largest cave system in Canada with more than a thousand glaciers and glacier fed lakes such as Moraine Bow, and Peyto other than the famous Lake Louise. The Banff legacy trail is a non motorized paved trail for walking, cycling and skating. This 16-mile trail runs along Trans-Canada. The easiest way to get around Banff National Park is by vehicle and these are available in Calgary, Banff and Lake Louise. Bicycles are available for the sporty tourist who should exercise caution as this is mountainous terrain. A moped could also be rented out to explore the area around Banff. Guides can engage the visitors on a tour of the Park. The most common wild life at this park is Bighom Sheep, Deer, Elk, Mountain goats, and Caribou. Moose is another elusive which is rarely spotted. Squirrels and marmots abound on the warm and fuzzier side of the park. Although these sightings are rare, keep in mind that this park is also home to black and grizzly bears, wolves, coyotes and mountain lions, or cougars. An occasional porcupine and beaver may also be seen, and bird lovers can watch grouse, bald eagles, and the Canadian goose. Climbing the Canadian Rockies is one of the best rock climbing programs. Avalanche training, ice climbing, trekking, rock climbing and back country skiing are some of the indulgences that could be experienced by beginners and advanced climbers. Single day or multi-day hiking and backpacking adventures in Banff are available. There are several natural trails within half an hour of Banff Township. As Banff is on a higher latitude, the scenery is four-seasonal. There are Gondolas â€“ Banff Gondola and Lake Louise Sightseeing Gondola. Sunshine alpine meadows are suitable for hikes. Banff offers unequalled golfing experience what with an 18-hole Stanley Thompson course, and a 9-hole tunnel mountain course. This spectacular Banff Springs Golf course is located on the Bow River at the foot of Mount Rundle and Sulfur Mountain. One of the scenic locations on the Ice fields Parkway, about 40 kilometers north of the town of Lake Louise is the Peyto Lake which is considered one of the best views of Canada. The lake lies on the convergence of valleys and is surrounded by rich forests and mighty mountains. The shimmer of the lake is blue during summer months due to its mineral content being fed from the Peyto Glacier. Banff National Park is home to several ski and snowboard areas. 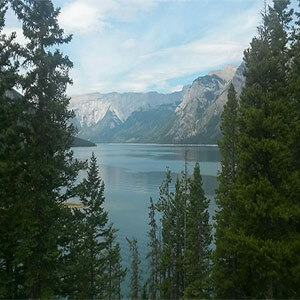 Sunshine is about eight kilometers off Banff with a peak of 2730 m. Lake Louise is about sixty kilometers and is the single largest ski area in Canada with 4200 acres of lift-accessed terrain on four mountains. Mount Norquay is about six kilometers north of Banff and is famous for its super steeps. Statistically, one of the greatest threats for injury at the park is while driving through it. An occasional cougar and bear could attack the visitor. The danger of an avalanche also exists. Skiing out of bounds is not allowed. Elk moose and deer are also unpredictable and dangerous. It is advised to stay at least 30 meters away from elk, moose and deer. Wolves and coyotes can be detected on longer trails. Use binoculars to see animals up close. Remain at least 100 m away from bears, wolves and cougars. Keep back at least 30 meters and space for sheep, elk, mouse and deer. Roadside wildlife can be viewed from the vehicle. Ask park staff about wildlife safety and how to handle wildlife. The climate is generally mild during summers, with July the warmest month with an average temperature of 22 C. Although the mountains are snow covered year round, there is rarely snow at the highway in the summer. Whereas, in winter the average temperature drops drastically and January is the coldest month with temperature dropping to an average of -15 C. Snow can be seen at any elevation during winter and whatever be the season, the temperature will drop 1 C every 200m of elevation gained. Go for a stroll alongside locals and travelers and discover a collection of shops, galleries and boutiques â€“ some of the oldest departmental stores and clothing can be found here. In Banff recipes change according to the seasons. During Fall, squash and legumes are used whereas in spring, asparagus and mushrooms find their place and edible flowers and fresh fruits galore. Canadian Trans Canada highway bisects the park east/west. Banff is about half hour from the Calgary Alberta and Golden British Columbia. There are several other ways such as Jasper Highway, Rocky Mountain House, Red Deer Alberta and Highway 93 from Rodium Hot springs and Cranbrook British Columbia. There are regular scheduled coaches to Banff and Lake Louise departing from Calgary and points in British Columbia. 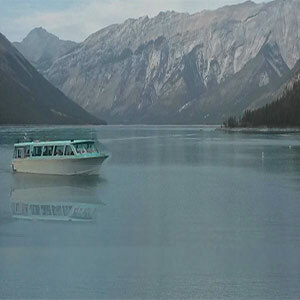 Air transport provides shuttle services from Calgary Airport to Banff and Lake Louise. Banff does have an airstrip but there is no commercial service. Vancouver international airport is about 12 hour drive to the west. There are short charter flights that operate tours over Banff National Park. By train, the Rocky Mountaineer Vacations provides year round vacation packages including travel on the acclaimed Rocky Mountaineer rail journey. Banff is open year-round although summer is popular for hiking, paddling, mountain biking and cycling among others things to do. And Fall is the best time for viewing the seasonal colors. The mountain landscape makes for incredible downhill and cross country skiing during winter. 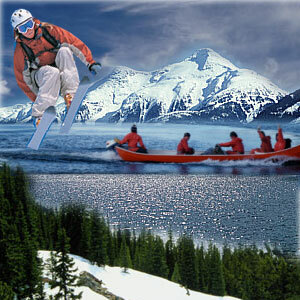 The ski season runs from November to May and is one of the longest in North America. But weather in the Canadian Rockies can change so quickly from a mix of sunshine, snow, wind and rain on a single day. First Published Date: 12 Aug 2014 Last modified Date: April 22 2019 This page may have been updated recently as new information is available or the content may have been edited for better readability.